It was a day for a cool head, and they don’t come much cooler than precocious Peter Sagan. After a day littered with climbs and crashes, green jersey Sagan (Liquigas-Cannondale) charged up the steep ramp to the finish in Boulogne to claim the third stage of the Tour de France ahead of Edvald Boasson Hagen (Team Sky) and compatriot Peter Velits (Omega Pharma-Quick Step). He even had the margin of victory and presence of mind to do a ‘running man’ victory celebration. A crash 300 metres from the finish saw Bradley Wiggins held up, but unscathed. Because it occurred inside the final three kilometres, the Briton remains second overall, seven seconds down on yellow jersey Fabian Cancellara. Other Tour and stage-winning hopefuls weren’t so lucky. 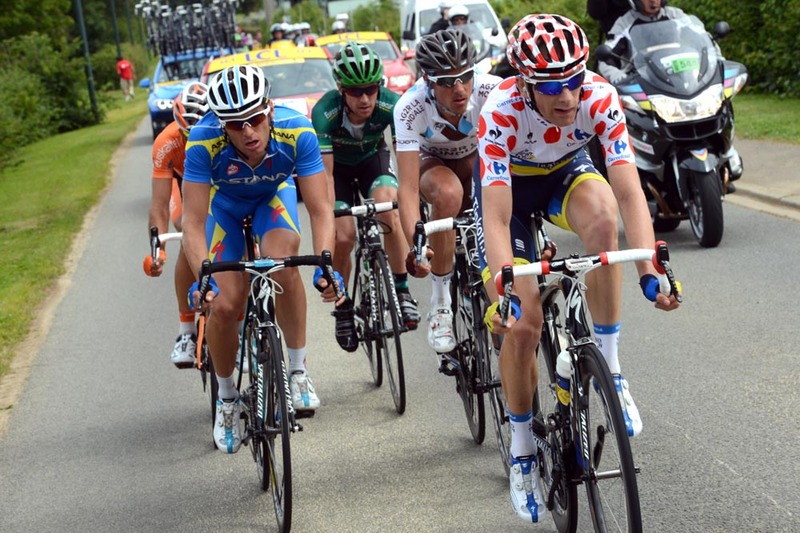 Last year’s sensation Thomas Voeckler (Europcar) and Philippe Gilbert (BMC) shipped over seven minutes and Tom Danielson (Garmin-Sharp) lost nine, as crashes and splits ripped through the bunch in the closing fifty kilometres. 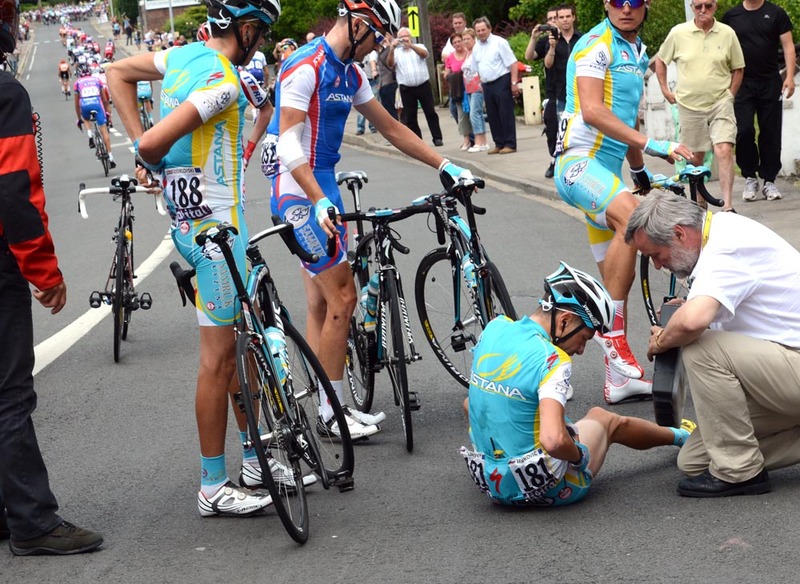 After crashing 50 kilometres from the finish, the first abandon of the Tour was Sky rider Kanstantin Siutsou (Team Sky) with a suspected broken ankle. 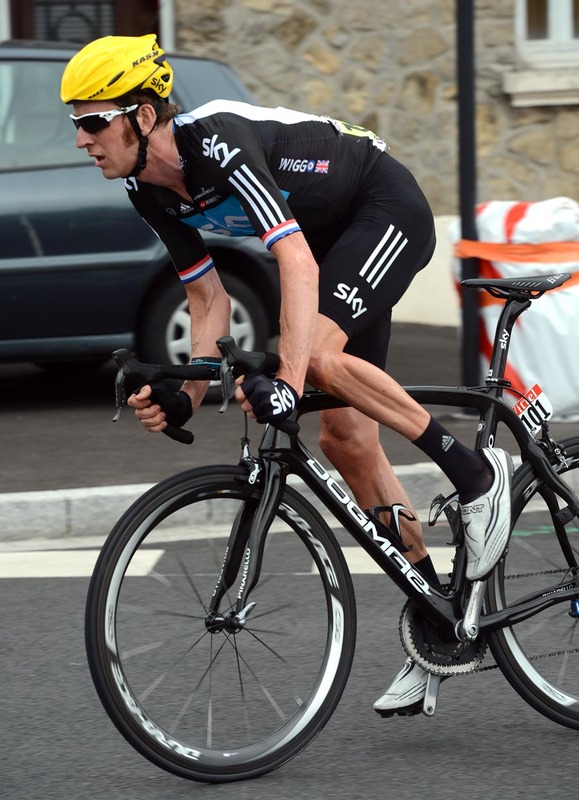 Losing a valued domestique before a sniff of the mountains is a blow for Wiggins. Involved in a later crash, Movistar green jersey contender Jose Joaquin Rojas also pulled out, while Ryder Hesjedal (Garmin-Sharp), Simon Gerrans (Orica-GreenEdge) and Tyler Farrar were also caught up in falls. In front, irrepressible King of the Mountains leader Michael Morkov (Saxo Bank-Sungard) made the breakaway for the third day in a row, alongside Sebastien Minard (Ag2r-La Mondiale), Ruben Perez (Euskaltel-Euskadi), Andriy Grivko (Astana) and Giovanni Bernaudeau (Europcar). As Morkov boosted his polka-dot points tally, Union Jack flags and British fans were out in force in what was virtually a local stage, a short hop across the Channel. They will have been pleased to see Mark Cavendish claim the bunch kick for sixth in the intermediate sprint. While his deficit to Sagan provisionally stands at 43 points, the world champion has opportunities to close the gap on three flat stages across northern France. 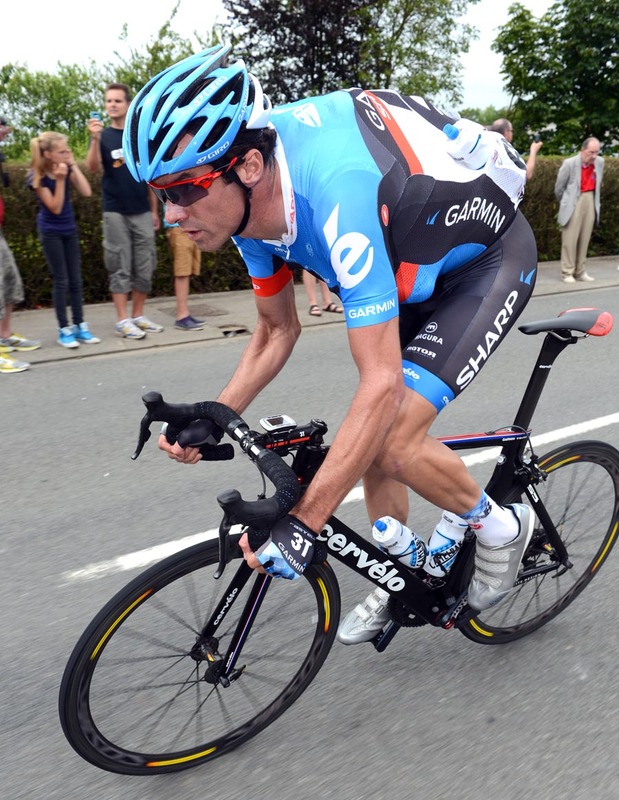 Grivko and Morkov were the last survivors of the day, only being pulled back eight kilometres from the finish as the final short, sharp hills around the Boulogne bit in. Hunting the yellow jersey, Sylvain Chavanel (Omega Pharma-Quick Step) attacked with five kilometres to go on the twisty approach to the city. The Frenchman’s brave effort was overhauled 450 metres out as BMC sped up onto the short, steep ramp to the finish. Moments later, a rider crashed to the left, blocking Wiggins’s path. Another overshot the final corner later. Nobody could stop Sagan stomping hard on the pedals and running away with it.